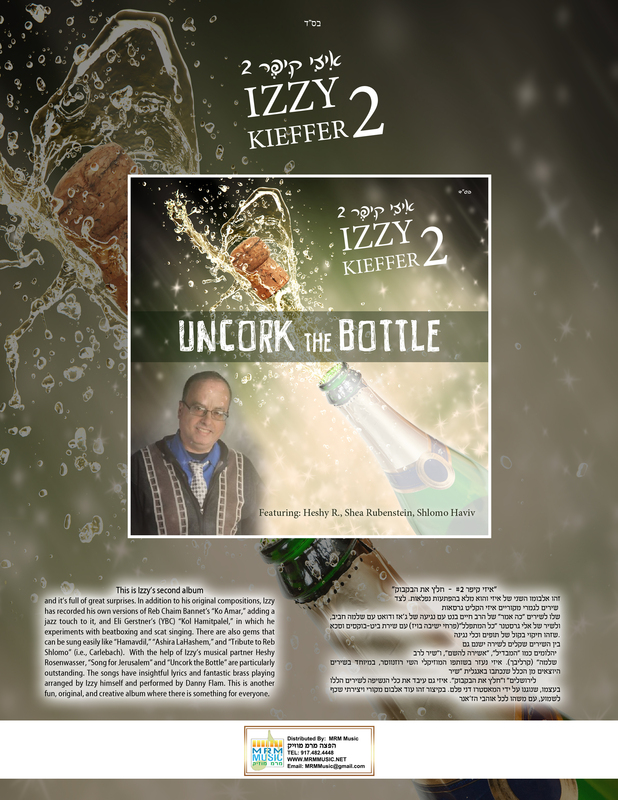 "Uncork The Bottle " & "Let There Be PeaceYehi Shalom" Album/CD Design and Information. 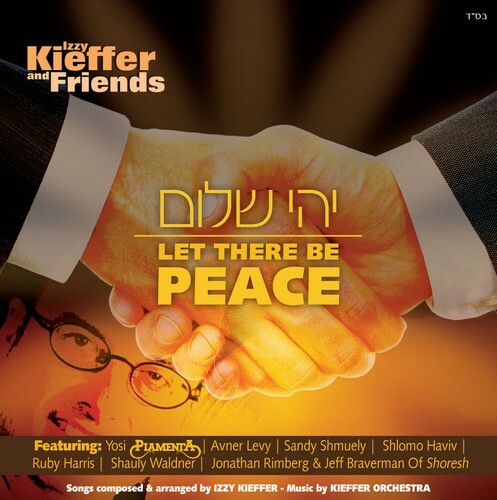 "Let There Be Peace—Yehi Shalom"
Music by Rabbi Shlomo Carlebach obm. Used by permission. From the original motion picture soundtrack "When Do We Eat"
Ashira Lashem Ki Gamal Alai—I will sing to Hashem because He has been good to me. First thanks goes to The One who knows how vulnerable we really are. B'chol yom tamid ... and without His Hashgacha—Divine intervention—nothing can happen Letova-for the best. 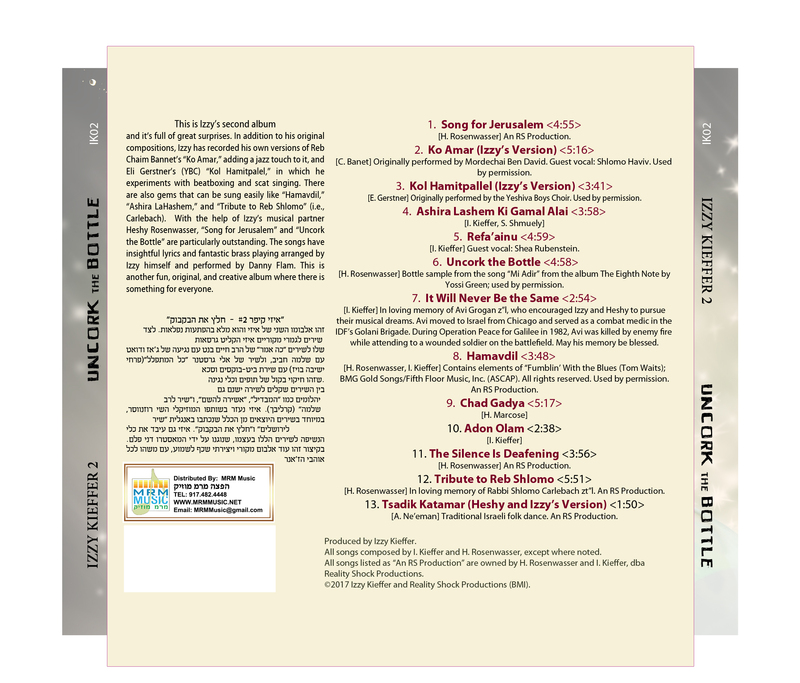 In this album I tried to combine many styles with originality and with some musical experimentation. I included guest appearances with the artists that I work with playing at weddings and Bar Mitzvahs, and who influenced my music. Yosi Piamenta, Sandy Shmuely, and Avner Levy's songs were written especially for them. I hope this album will be a source of joy to the heart and soul of the listener. Special thanks to my wife Rachel for her love, support and dedication, her parents Sara and Yitschak Ben Ezri who have warmly welcomed me into the family and all their extended familiy. My parents, Shlomo and Dvorah Kieffer, for their continued support and encouragement. 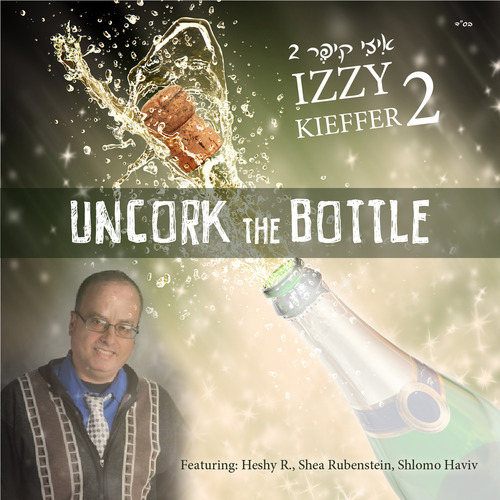 To my musical partner and friend since high school Heshy Rosenwasser. To my "second mother," Sally (Sorky) Kaufman. To my Shvesters, Huvie Willenberg, Yaffi Davis, Nechama Munk, and all their extended families. To my uncles, Rabbi Yosef Schachter and Rabbi Zalman Schachter Shalomi. To Josh and Bonnie Sharfman. To all the extended Kieffer family—my aunts Malk and Rosh, my uncle Meyer, and all their kids and grandchildren. Rabbi Avraham Goldstein of Crown Heights Yeshiva and Rabbi Yeshayahu E. Greenfeld and Marcelline Yellin and all the staff at North Shore Hebrew Academy. 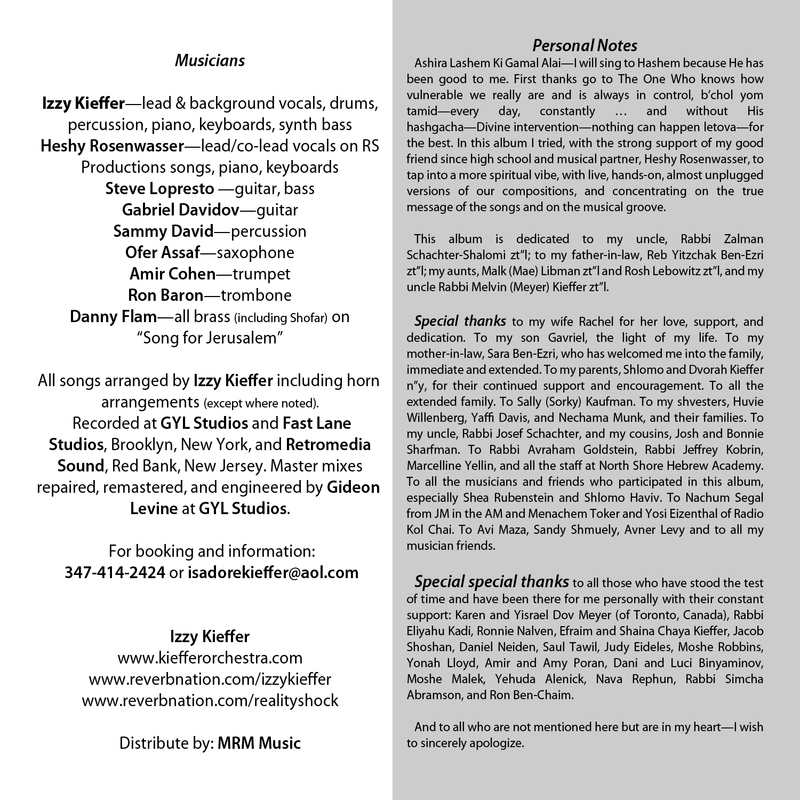 To all the musicians and friends who participated in this album and to Nachum Segal from JM in the AM. To all who are not mentioned here but are in my heart, I apologize in advance. Special special thanks to all those who have stood the test of time and have been there for me personally with their constant support: Karen and Yisrael Dov Meyer from Toronto CA, Roni Nalven, Jacob Shoshan, Daniel Neiden, Rabbi Rolando Matalon, Peter Geffen, Saul and Ike Tawil, Rabbi Eliyahu Kadi, Yisrael Dayan, Judy Eideles, Moshe Robbins, Rabbi Zecharya Wallerstein, Yonah Lloyd, Deborah and Tom Kolb, Amir and Amy Poran, Dani and Luci Binyaminov, and Moshe Malek.